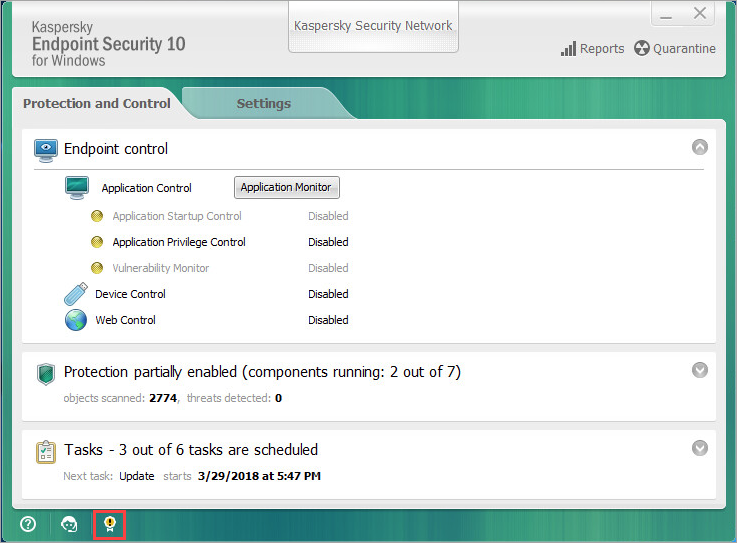 You can activate Kaspersky Endpoint Security 10 for Windows locally, or remotely via Kaspersky Security Center. The application can be activated either with a key file or an activation code. At the bottom of the main application window, click the exclamation mark. 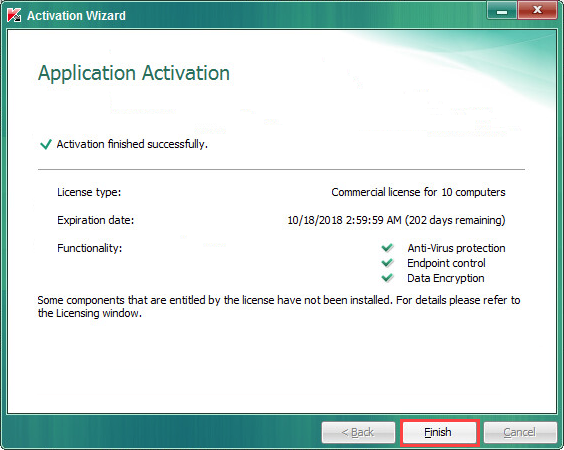 Click Activate the application under a new license. Activate with an activation code: This requires you to enter the activation code in the field below. Activate with a key file: This requires you to specify the location of the key file in the next step. Wait until the activation is complete, then click Finish. 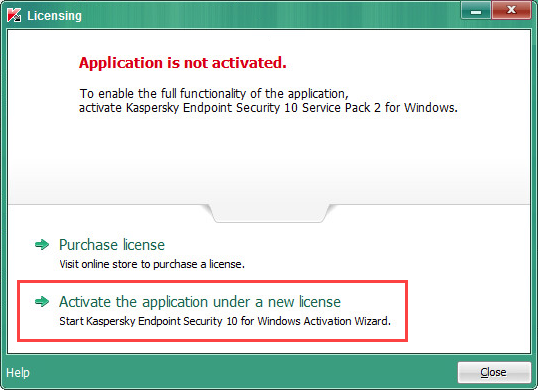 Go to Advanced → Application Management → Kaspersky Lab licenses and click Add key. 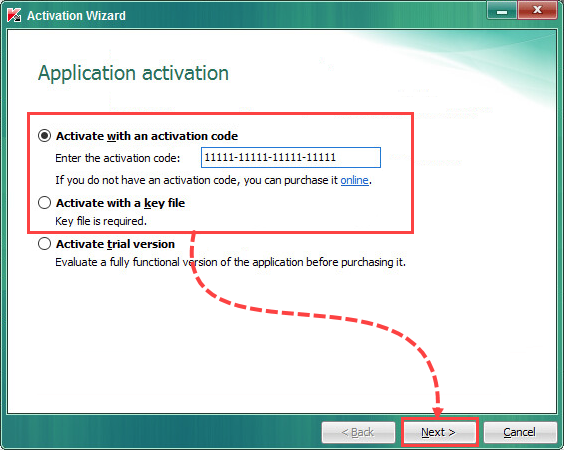 Activate application with activation code: This requires you to enter the activation code in the next step. 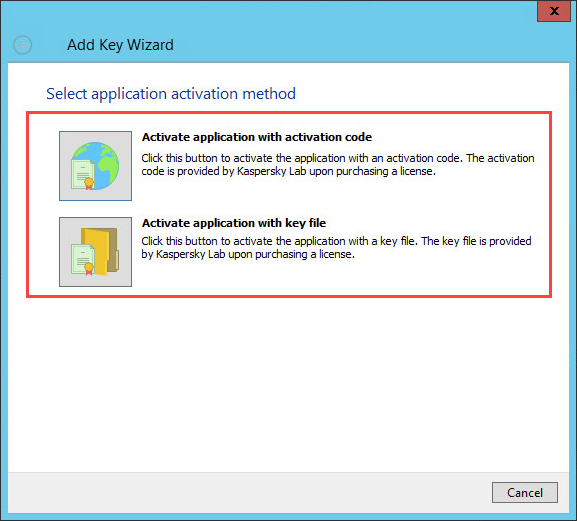 Activate application with key file: This requires you to specify the location of the key file in the next step. In the next step, select the checkbox Automatically deploy key to managed devices. 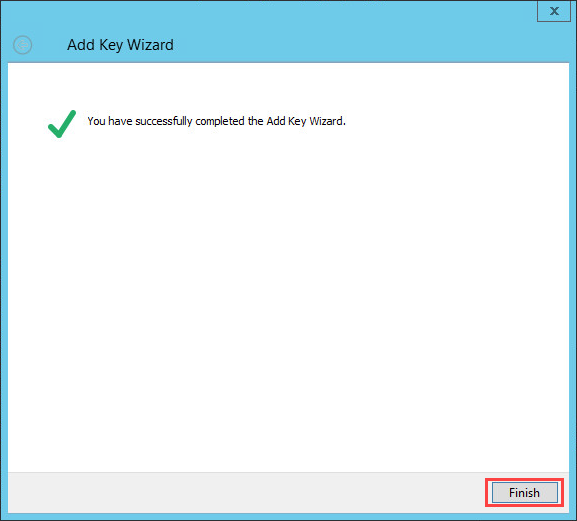 Make sure the key has been added successfully, then click Finish to complete the Add Key Wizard.